Last year my dear friend Karly mentioned that she started seeing a business coach. She was struggling to find balance with her quickly growing career while juggling a busy personal life, and found some much needed support and accountability with a coach. Consider me intrigued! I admire her for taking the initiative to get outside help with running her own business, and for gently planting the seed in my own mind. As I wrote in my last post, asking for help has never been my forte, but I’m lucky to be surrounded by many self employed friends who are always eager to share their sanity-saving tips. Life got busier than ever with our new family and work. The business coach idea fell off my radar, as I didn’t think I could add one more thing to an already full plate. Looking back, it probably would’ve helped me more than it didn’t, but recently, it was as if the universe was giving me a gentle nudge to go for it. Don’t you love when that happens? First, our friend Chris mentioned his business coach, and what a great experience he’s had over the years. Then, I saw Karly recently and she told me she’s been seeing her coach for over a year now with amazing success (and I’ve noticed the positive changes, too). Well, that was it. In the words of my girl crush Mindy Kaling, Why not me?! I decided right then and there that I would make time to give it a shot. Our first session started with an exploratory exercise. My coach presented me with “The Wheel of Life”. It has various labels on it like “career”, “fun”, “personal growth”, “money”, “significant other”, “health”, “friends/family”, etc. Then I rated each one on a numerical scale from least to most satisfaction. The poor little wheel was so imbalanced by the time I was finished. I wasn’t the least bit surprised since I’ve felt like a wagon with 3 wheels for a while now, but this exercise helped me decide on a few areas to improve. Even though my original intent was to focus on business, I realized that personal growth, or lack thereof, impacts every single area of my life. I think it makes sense to start with this area as I’m sure it’ll have a positive impact on all the other areas too. I’m in my early thirties, but I occasionally feel like my personal growth is stuck in the last decade (or on bad days, maybe my first decade of life, hah). Is this just me, or can you relate to that feeling? I can’t even tell you how many insights I had in our first session. We set some goals in a few categories, and I came up with some potential solutions to issues. Before we met, I decided that I wasn’t going to sugar coat things or make excuses for myself; as a result, our conversation was authentic, passionate, real, and inspiring. One thing I love is the accountability that I now have to follow though with goals. Rather than simply saying, “oh I’d love to hire a team some day…”, I’m actively moving forward with the goal! I don’t want to stand in my own way anymore. It’s amazing how much we can hold ourselves back by telling ourselves the same stories each day. The question is – what would YOU do if you got out of your own way? This is my favourite method for cooking butternut squash—chopping it into small cubes and roasting until it's tender and slightly caramelized. I have to exercise some serious restraint not to eat the whole pan straight from the oven! 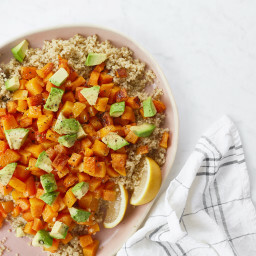 The squash cubes are layered on a base of fluffy quinoa and topped with creamy chopped avocado, sea salt, and a squeeze of lemon or lime juice. It's super simple, but delightful. My best tip is to make sure you season this salad properly. Quinoa and roasted squash will fall flat without a generous seasoning of sea salt, so don't be shy. I also like to keep some Herbamare on hand when serving so others can season with additional salt if desired. Be sure to see my Tips below on the many ways you can change up this salad! Thank you to my friend Karly for inspiring this recipe. She brought this salad to a recent get-together and I knew I had to try recreating it at home. For the squash: Preheat the oven to 400°F (200°C) and line two large baking sheets with parchment paper. Spread the chopped squash onto the baking sheets and drizzle 1 tablespoon of coconut oil (or olive oil, if using) over each sheet. Toss to coat. Spread the squash into an even layer (being careful not to overcrowd the squash) and sprinkle with a few pinches of sea salt. Roast the squash until the bottoms are just starting to brown in some spots, about 40 to 50 minutes I don’t bother flipping the squash halfway through roasting, but you can if you’d like. For the salad: Once your squash are about 25 minutes from being done, begin preparing the quinoa. Rinse the quinoa in a fine mesh sieve and transfer to a medium pot. Add 1 3/4 cups water and bring to a simmer over medium-high heat. Reduce heat to low-medium, cover with a tight-fitting lid, and cook for 12 to 14 minutes, until the water is absorbed and the quinoa is tender and fluffy. Once cooked, fluff with a fork and remove from heat. Season the quinoa with salt and pepper to taste (I recommend a generous amount) and stir to combine. Keep the lid on until ready to use so it stays warm. Just before assembly, pit and chop the avocado so it’s ready to go. When the squash is finished cooking, spread the warm quinoa onto a platter or spoon it into a large bowl. While the squash is still hot, spoon it on top of the quinoa before adding the chopped avocado. Garnish with a couple more pinches of salt and a small amount of fresh lemon juice (or lime juice) drizzled over top (you can also try lemon or lime zest for a twist). 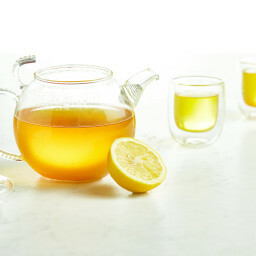 I use a light touch with lemon juice as it can quickly overwhelm the other flavours. Serve immediately with lemon wedges on the side. Want to change this recipe up? Here are some fun ideas for how you can create a new dish! 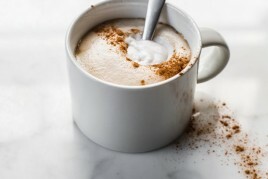 - Try experimenting with spice combinations like cumin + chili powder + cayenne; cinnamon + nutmeg; curry powder + coriander, etc. Ouch, I so needed to hear that today! And this looks delicious. I love all things butternut squash, but have never paired it with avocado! Really love the simplicity of this salad! It’s perfect for fall and sooo simple to make any day of the week! I love your photo’s of the squash!!!!! I’m having a serious case of squash photo envy right now. They’re cute. You just made a butternut squash cute. Love it =) And that yellow necklace is adorable. Yellow and purple just go. Sigh. I wish you could help me pick out a paint color for my kitchen! Anyhow, I love this salad too and will be making it with my plethora of squash. Ashley, Your photography is beautiful. The way that first photo reveals itself as the post is being read is breathtaking. Angela, I am deeply inspired by your words and adventures with food, family and more. Thanks you for sharing the journey. Yum! AND I have all the ingredients! YUM! I am eating up food in my fridge before vacation and was debating what to do with the squash. Thank you for this! I firmly believe in coaching in any area that you are not an expert. We always have something to learn. And I am making this as soon as I possibly can! I love the simplicity of this! I’ve been craving loads of plain avocado and quinoa, but why not throw some butternut squash in there? You can’t go wrong with roasted squash! Ahhhh what a beautiful picture of the squash!!!! Squash has never looked so good! This looks incredibly delicious! We’re definitely going to have to give this a try during the fall sometime! That is one seriously gorgeous butternut squash! Mine never are that ripe and orange. Love how simple this salad is. Every time I peel a squash the sap creates this weird mess on my hand. It seems like it’s just the sap but is so difficult to get off. Some websites says it’s a skin reation. So… idk. Is it just me? Do you wear gloves to chop the squash? It leaves a sap feel on my hands too! I don’t wear gloves to chop it, but just wash them well afterward. It isn’t sap…this website does a great job of explaining it. You should really wear gloves. What is not to like, simple ingredients put together, lovely recipe as usual! The priorities wheel is such a fantastic tool. My husband has actually been doing it since grade 8, and our kids and I do it as well at his encouragement. What would I do? Sleep. Focus a tiny bit less on physical health and more on spiritual health. Start a blog to share my misadventures in childcare with frazzled moms…the list goes on! I made this dish … So good it disappeared … I made it a second time a few days later at the request of my family. Way to make me love squash, Angela!! Hi Angela! Thanks for this post and for sharing your experiences so openly and honestly. As a new blogger (who definitely does not yet need to hire a team or anything remotely like that! ), this is an interesting insight into possible future experiences, assuming that all goes well. Thanks so much for your kind words! That’s so awesome you’ve been reading for so long. :) I’m off to check out your blog. Good luck with everything! Haha, I like the analogy: “a wagon with three wheels”. Good for you! Self growth (and reflection to allow said growth) is tough sometimes…especially when you feel like your “always doing something”. I wish you luck with your future endeavors….three cheers for balance! 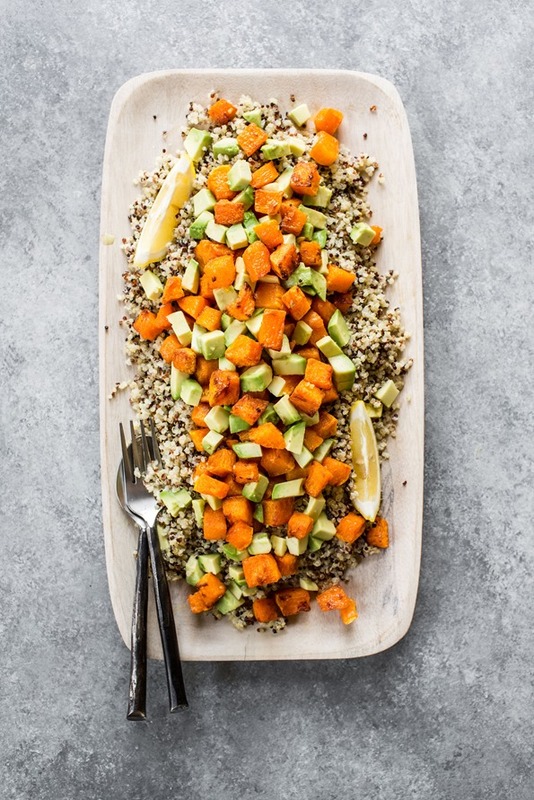 The salad looks super tasty…just enjoyed some roasted butternut over quinoa, and love the idea of adding avocado!!! I don’t like the title, per se, but as a coach, I feel this article does a bang-on job of describing the role of a coach. What do you think? Such a great thing you did for yourself. I am also one of those people that considered asking for help a sign of weakness, but it’s the best thing you can do for yourself. The coaches are trained to help you, they have so much knowledge and experience. I recently took a class in personal effectiveness and it changed my view on coaching, it forced me to get out of my comfort zone. Thank you so much for sharing such a personal thing, Angela! It was very inspiring to read.. I would have done the same thing. I used to see a therapist for a year because I was struggling with my recovery from an eating disorder, my boyfriend was spending a semester abroad, and my school was so busy. Seeing a therapist at this point in my life helped me so much and I will do it again if/when I need it. I;m really interested in having a Life Coach myself, someone who will kick me into gear….at present I have a book that’s helping me sort out my life but I may hire someone even just for a couple of sessions. 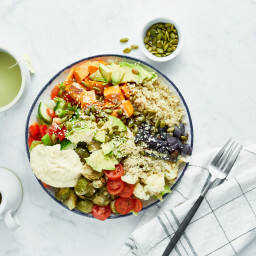 This looks great – I made your Roasted Buddha Bowl for my 13 month old yesterday and he loved it. Gonna try this one next! Firstly, this salad is totally up my alley. I’ve done sweet potato + avocado in salad before and it’s amazing, so I bet with butternut squash it’d be pretty awesome two. Ange, this is EXACTLY what i needed to read today. I hear you on that being stuck thing and this entire message resonates SO much with me right now. I’m so happy for you and all the progress you’ve made with your business coach – it sounds like you are absolutely thriving right now, and you 100% deserve to! :) Great post, and major kudos to Ashley on this one – these photos are stunning! Perfect fall dish. I love how versatile butternut squash is. It works so well in so many dishes. Thanks for sharing! Thank you for the inspiration. I am sure so many women can relate to what you described. It seems we always have too much to do.. Personally though, I prefer to have too much than too little. I just made this for lunch. Added some raw ribboned kale as well as some leftover sautéed kale. The lime juice was a nice addition. It was totally yummy! I have extra quinoa for breakfast tomorrow morning! This squash recipe is definitely a perfect dish to add to a meal prep menu. Thank you for sharing! I love butternut squash, but rarely prepare it because I always get blisters on my hand from peeling. What veggie peeler do you use to get such long strips of peel off the squash?? Will have to tray this one soon! Hi Angela, congrats on getting a business coach, I hope it will change your life for the better :). Looking forward to reading more of your progress. 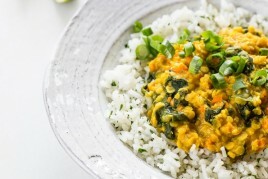 I can’t help but love a simple, healthy recipe like this one, I will definitely try it as soon as a I buy some squash. The pictures look AMAZING! Ps. I tried making the golden lentil dahl last week with brown lentils and it ended up kinda watery, not like your picture at all that looked thicker, is it supposed to be a little watery or did I do something wrong? Definatley the wrong lentils. I made it using red lentils, and it was perfection. Brown lentils are just not the same. Sounds absolutely yummy. Think I’ll have this for supper tonight. Love the alternative additions as well. Thanks so much. Glad you’ve taken the plunge to personal growth- much luck. I love the recipe, just bought me a squash. And I’m so glad your back by the way!! Ok — first off: I friggin’ love you. I’m a dedicated user of your cookbook (it is a disgusting, stained mess from all the splashes and overflows of my attempts at cooking…) although I’ve never ventured to make a comment on your site — until today! Just wanted to reach out because I can totally relate — balancing the entrepreneurial gig with parenthood and maintaining a social life can be daaaang tricky. I’d always kind of rolled my eyes at the thought of coaching — until I actually experienced it and realized the amazing shifts that can happen as a result. So I guess what I’m trying to say is coaching is pretty amazing, eh?! Glad to hear its helping you get where you want to be. And as a totally random side note: met your friend Joanna at a blogging conference this weekend as we bonded over our mutual geography. Small world! Anyway, this is turning into a novel so I’ll wrap it up. Have a great day and best of luck as you continue on with your coach! You are way too sweet – Joanna mentioned meeting you! Small world. :) I’m off to check out your blog. Thanks for your kind words and love for my cookbook! Too funny! I just walked in the door from the market, I have a beautiful butternut squash now, and here’s a fantastic recipe! I love this, looking forward to a squashy fall. I also think the photos have improved dramatically. Much more you. I like the warmth of wood or fabric more than the coldness of stone, but then again the colors and patterns in th stone are so lovely. Congrats, looking forward to more. Loved this post. It’s always such a great thing to take a step and reassess your priorities and what you really want your life to look like (if only you/your brain/your perception got out of the way!). I hope you came away with some awesome new intentions and that one of them included spending more time with your gorgeous family and being happy with exactly where you’re at! Sometimes we need to hear it from someone else to believe it’s true. Love your blog (and looking forward to you coming to NZ one day, come say hello!). Squash and avocado go so nicely together. Love how pretty this dish is as well. Can’t wait to give it a try! Even after I felt I had my disordered eating under control, meeting with an eating psychology coach was tremendously helpful in improving not only my relationship with food, but also my ability to take on hard life decisions. It’s so important to have someone on your team, challenging you to do the hard things that you want to do, but also supporting you wholeheartedly on the way. Will you be sharing who your business coach is? I have been pondering the idea of working with one as well but there are so many out there, I have no idea how to go about finding a good one! I have such a hard time peelimg butternut squash. What type of tool do you use? I believe that recognizing when you need help and knowing how to ask for it is a sort of skill, and definitely one I wish I had developed earlier in life. It’s absolutely amazing what a little outside help can do for a person. Good for you for recognizing what you needed and seeking it out! Is there anything better than fall weather + roasted squash? I don’t think so. It looks really healthy and fresh, and it’s still Autumn appropriate which I like the most. Right now I want hearty food, not greeneries and this looks delicious as hell. Hello Angela! I’m new to the vegan diet and am looking for recipes to try. I just discovered your blog searching for vegan cookbooks. Your photos are great but there’s something I noticed about your squash picture after it is peeled. It looks like your peeler has a curvature in it. Made me wonder what kind of peeler you are using and if it makes life easier peeling oddly shaped vegetables like this? I’m coming around to winter squash after thinking I didn’t care for it (I know) and caramelization sells this for me. Made this for dinner tonight and it was amazing!! I love how simple it was, never would have thought of pairing avocado and squash together. I am new to your blog and only read a few posts, but you have already inspired me so much. Can’t wait to read more of them. Hi Angela! 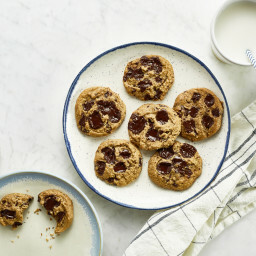 I just read this recipe and it looks wonderful! I have everything I need to make it, but I was wondering if you wanted to store the left overs would the chopped up avocado go brown at all? Am just a new visitor to your site and i found it interesting such that i have to bookmark it for my wife to learn few things here. I am excited to try this recipe. 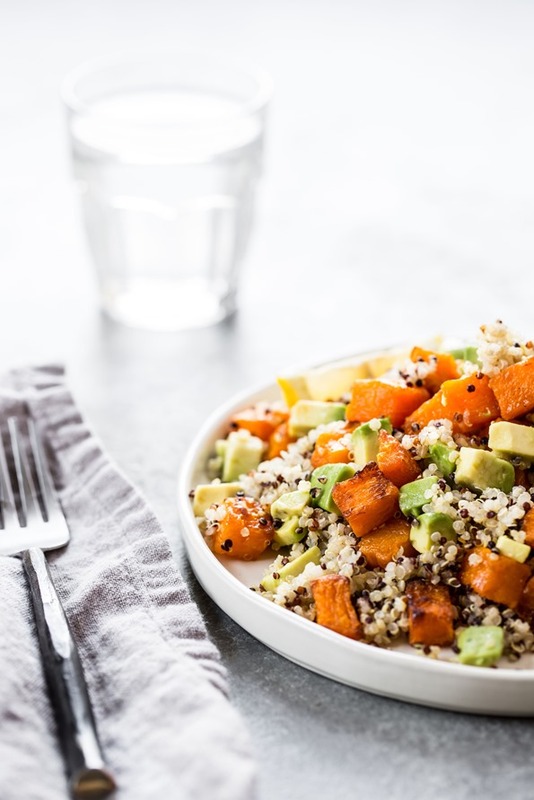 I LOVE squash and avocado and quinoa but have yet to try them all together! I have a question, can this salad be eaten cold the next day if there is any left? Would I just add fresh avocado to it and enjoy it cold? Has anyone tried this? Thanks. P.S. I really enjoy reading your blogs! Can you tell me how you peel your butternut squash? Made this last night for my non diet restricted family and we all LOVED it! My parents have never been squash people, but they have been converted after tasting this :) turns out roasting was the trick! -I highly recommend adding a protein like beans as this was filling, but I know I needed the extra energy later (okay, I was playing quidditch until 1am, but still ;) ). -Make sure you’re buying butternut squash! I accidentally bought spaghetti squash (then realized my mistake by the next store and also got butternut squash)… So that’s baking in my oven right now haha… We will see how that goes! Still to this day, I am so surprised that you’ve never had a team of people following you, and how you have managed with your little lady too has been amazing. In the words of Dr Suess…. Angela, I’m so heartened by your honesty throughout, and this post is no exception. This community you’ve created through your journey continues to grow more abundant: Ashley’s photography is stunning, and adding a life coach can only free you to make the decisions held closest. Go for it! And thank you for a *great* weeknight recipe that is easy to prepare. Our Costco sells pre-chopped Butternut squash! (This from another type-A who hated asking for help). Looking forward to the newest cookbook! Yay Fall 2016! I made this for dinner last night and included chick peas, added garlic to the quinoa, and topped with parsley, curly kale and nutritional yeast. It was delicious, plated beautifully in my casserole dish, and also made for great left overs. My meat-eating husband wasn’t missing the meat at all! This post is up at the perfect time for me and something that I can totally relate to. It’s hard being able to juggle everything, especially with kids! I made this last night and it was pure comfort in a bowl. Not to mention how simple it was for a weeknight dinner! We loved it and will be having it as long as we can find avocados this winter! 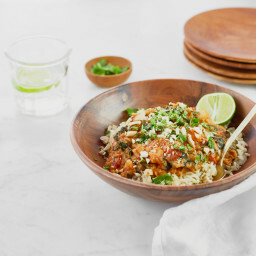 Just bought your oh she glows cook book and cannot believe how tasty and fun all the dishes are! So far we have lived everything we have tried! Great job!! I love this recipe! I make something similar with roasted sweet potatoes, quinoa and wild rice. I know this will be equally delicious! Try a fresh oregano and mint combo for the fresh herbs. I also add 1 tbls dried Persian lime powder (love this powder!). I love your blog! I am not vegan but I eat a limited meat diet and love experimenting with vegan. Cheese and eggs are the two things I don’t see myself giving up. I am also gluten free due to celiac. 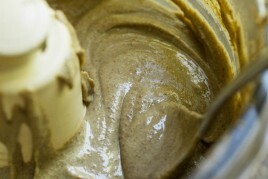 I am making your pumpkin muffins today with brown rice flour. I’ll let you know how that works out. Thanks for your blog! OMG this recipe doesn’t look like much but it is sooooooooooo good. I have literally eaten it for 7 meals in the last 2 weeks!! I keep all the components separate on my plate and squeeze lime over the avocado and the quinoa(I use tri colour). The flavours go so well together and it is such a delicious healthy meal. Great job on this one Angela!!! haha so glad you love it! This was a great option for lunch! I’ve been eyeing it since you posted last month and mmm mmm it did not disappoint. I tossed my butternut squash in chipotle chili powder and cumin before roasting, and swapped the lemon/lime juice with red wine vinegar (since its what I had)– excellent! I’d love to add black beans next time, and will definitely swap pearled couscous sometime, as that would be wonderful, too. What a versatile dish. So filling and satisfying. Thank you! The warm buttery squash and the cool salty avocado are the perfect contrast for a dish that tastes simply incredible and ideal for fall. Cooking with butternut squash always seemed like a chore in the past because I never knew where to begin, but the pictures on the here showed me exactly how to do it. I love this entire blog and my cookbook so much! Thank you Angela! Yes, we limit our own selves far more than anyone else. Wow! I just started working with a business coach too, so this post caught my eye. I was so relieved to hear how common it is as an entrepreneur to have similar struggles as other self-employed people. I think its really great to seek help from someone who guides people in business professionally. Way to go! Thanks for everything you do Angela – I frequent your page daily and make a lot of your recipes! Welp. I’m now a butternut squash believer. I honestly was slightly scared to try this recipe due to my lack of expertise with butternut squash, but I’m sure glad I gave it a try! It is absolutely wonderful!! I added some fresh garlic into the quinoa as well as some black beans. SO delicious!! Thank you so much for sharing!! Thank you, thank you! For all you’ve done for me and my family! 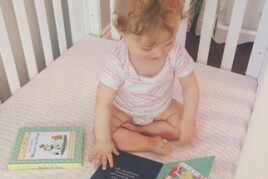 We love your blog and love your cookbook. You have made our transition to a plant based diet incredibly delicious! You are very talented- thank you for sharing that talent with the world! This salad is to die for, by the way!!! This recipe was decidedly underwhelming. Every item in the dish has basically the same texture (soft/mushy). I added the black beans as Angela suggested and those were pretty much the same texture, too. It needed some crunch, and I added some pumpkin seeds to the leftovers when I ate them. I also found the tastes of the items too similar. The squash is sweet, the quinoa is relatively bland, and avocados are relatively bland. It needed something else to keep the palate from getting bored. I avoid recipes that call for peeling a squash — it’s such hard work! Any tips on how to do it less painfully? I made this last night and it was out of this world! Thank you!!! Nice recipe and its healthy too. Thank you for sharing. Simple and delicious. I made this for dinner tonight. I seasoned the baked squash with pepper, garlic powder, and a bit of salt. I also added some chopped kale and fresh parsley and cilantro on top. And lastly a bit of freshly squeezed lemon juice. Oh and green onion. I already had some chopped up so why not use it up! It was good. Thanks for the recipe! SOOOO Good! I made this for our Christmas Eve Dinner and it was a hit! Don’t go stingy on the fresh lemons and sea salt! Also, the the browner you bake the butternut squash, the better! I practically burned my butternut squash and was nervous it would be terrible, but it actually made it incredible and sweet! I love this recipe! It is so delicious! !